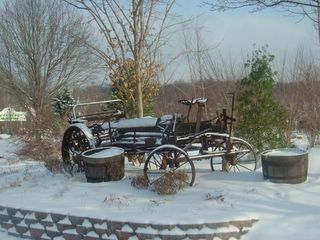 Fresh snow at the gardens. Watch KTVI for this shot without the snow for a piece by Weatherman Chris Higgins. Chris interview Jennifer concerning the bulbs early emmergence.